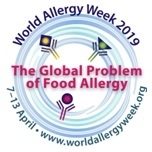 World Allergy Week (7-13 April), an annual World Allergy Organization initiative to raise awareness of, and advocate for, better management and prevention of allergies and related diseases such as asthma. With 9 out of 10 people on the planet breathing polluted air, known to both cause and exacerbate allergies, this is an important initiative. The city’s equity market has overtaken Japan to be the world’s third largest in value, behind only the U.S and mainland China, courtesy of a rebound in Hong Kong stocks after their worst year since 2011. Hong Kong’s market cap was $5.78 trillion as of Tuesday, compared with $5.76 trillion for Japan, according to data compiled by Bloomberg. The Centre has appointed Gargi Kaul, officer of the Indian Audit and Accounts Service (IA&AS), as Secretary, Defence Finance. Akhtar is the head of the Department of Training and Capacity Building in Education at the National Institute of Educational Planning and Administration in New Delhi. She has been appointed Jamia vice chancellor for five years. The festival of harvest Baisakhi is being celebrated with traditional enthusiasm in the northern part of the country. Baisakhi is celebrated with much fanfare in Punjab, Haryana and Chandigarh. Traditional folk dances are performed on this day. Russia has conferred Indian PM Narendra Modi with the country’s highest civilian award. The Indian Prime Minister has been honoured with the Order of Saint Andrew The Apostle for exceptional services in promoting special & privileged strategic partnership between Russia and India. UAE has announced that India will be the Guest of Honour country at the Abu Dhabi International Book Fair, ADIBF 2019, to be held from 24th to 30th of this month. The fair aims to highlight the UAE’s rich heritage, showcasing its authenticity and modernity, as well as its cultural and literary output. Alice G. Vaidyan, Chairman and Managing Director, General Insurance Corporation of India received ‘CEO of the Year’ award at the inaugural edition of ETPrime Women Leadership Awards (ETPWLA) in Mumbai. Hailing the virtues of leadership and success, ETPWLA is here to set a benchmark of success for women in business and inspire a million others to come forward and wield the baton of excellence. The awards recognise women leaders who have helped create a new and lasting template for leadership. UK-based company Varkey foundation announced Next Billion Edtech prize 2019 and an Indian startup is one amongst three winners. 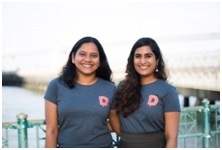 ‘Dost Education,’ a USA based startup run by two Indian ladies Sindhuja Jeyabal and Sneha Seth has bagged $25000 as the prize money. The two other winners, who are going home with the same prize money are Tanzania based company Ubongo and Praxilabs from Egypt. The event took place at Global Education and Skills Forum (GESF) in UK. The “Utkarsh Bangla” project aims at creating a pool of skilled candidates who are industry ready, while under the “Sabooj Sathi” scheme, bi-cycles are distributed to students between class IX and XII studying in government run and government aided schools and madrashas of the state. Digital payments facilitator PayU has acquired US-based financial technology firm Wibmo for USD 70 million (about Rs 484 crore), that will help the company scale-up its business. Wibmo, a digital payment security and mobile payment technologies firm, will continue to operate and serve all of its clients as a wholly-owned subsidiary of PayU. Banks like Syndicate Bank, PNB, Allahabad Bank, Vijaya Bank and Axis Bank were also in top 10. 14 of the 15 most polluted cities in the world (mentioned by World Health Organisation (WHO) are in India. Out of them, 4 are in Uttar Pradesh. WHO’s report states that Varanasi in Uttar Pradesh is witnessing a rise in the number of people suffering from allergies and respiratory problems due to huge amount of construction in the city.Faridabad in Haryana is in 2nd position after Kanpur. A new state-of-the-art, Virtual Reality Centre (VRC) to provide a major boost to indigenous warship design capabilities of the Navy was inaugurated by Navy chief Admiral Sunil Lanba in New Delhi. The VRC at the the Directorate of Naval Design (Surface Ship Group), seeks to also provide impetus to ‘self-reliance and greater fillip’ to warship construction under the ‘Make in India’ initiative of the Indian government.